Just occasionally you find yourself given the opportunity to do something you never thought you would get to do in your lifetime. For me, that was diving in the Beagle Channel, Ushuaia in the Tierra Del Fuego province of Argentina. Ushuaia is the most southerly city in the world, El Fin del Mundo, the “End of the World”, flanked by mountains to the north and the Beagle Channel to the south. Mike and I had spent the last few months travelling South America, from backpacking Ecuador, Peru and Bolivia, we had travelled by campervan down through Chile and into Argentina. 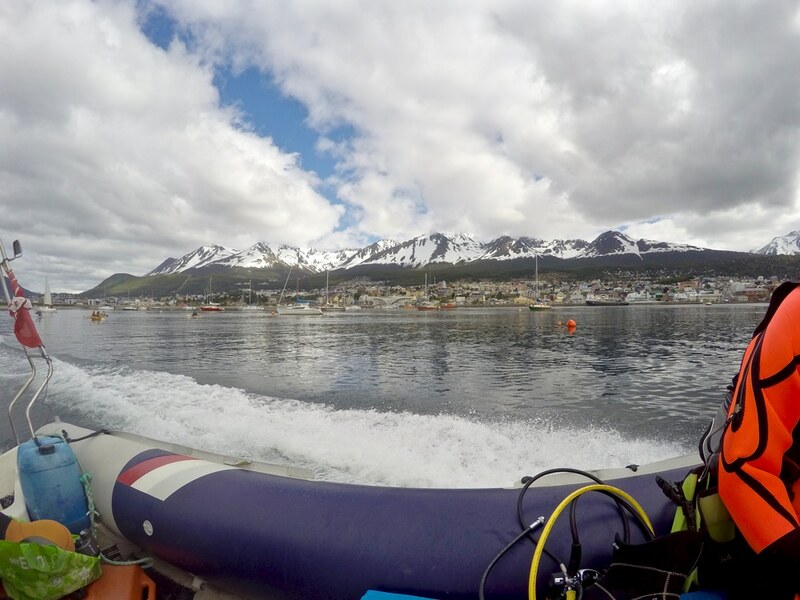 We hadn’t originally planned on going so far south, but we had read about a dive center offering tours out of Ushuaia and couldn’t resist the draw of Tierra Del Fuego, where the Andes meet the ocean. Leaving our trusty camper behind we boarded a flight to Ushuaia. It is an interesting city, with good accomodation, great restaurants and quite a lot of tourist shops. It also feels like the last stopping point before the wilds. Ushuaia is the stepping-off port for most of the commercial expeditions to Antarctica. There is a grittiness to it that I have experienced in other working port towns and this combined with the backdrop of snow capped mountains and ‘end of the earth’ feel really added to the experience. The nearby Tierra del Fuego National Park also offers some really nice hiking paths and wildlife viewing. As near as we could find out there was really only one option for local dives: Ushuaia Divers. The day before our dives, we headed down to the harbour to meet with the dive shop owner/operator Carlos to sort out paperwork and finalise timings for the following day. 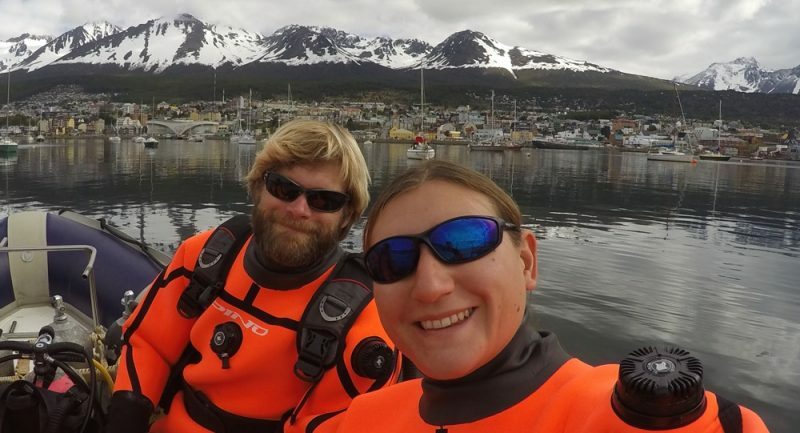 It was a very small small operation (really just Carlos along with an occasional assistant or DM), but we could tell he really knew all of the dive sites in the Beagle Channel. As an added bonus, his rental drysuits were a stunning bright orange … great for photographs! Carlos was very pleasant and enthusiastic about the forecast for the next days diving. It gets very windy here, very often, so you take the dive days when they come! After a good nights sleep, despite the excitement, we returned to the dive center the next day to get kitted up into our wonderfully Orange drysuits. Really very Orange and importantly very warm, due to the thick neoprene. Surrounded by that much neoprene, moving was less of a walk and more of a waddle after that, but I figured we were in penguin territory, so it was ok.
Boarding a fast RIB, we set off out of the harbour and into the Beagle Channel, with great views of the lighthouse as we whizzed by to our first dive site Iturrieta. We descended into the cold (around 3ºC) water and found ourselves in a mini kelp forest. After a few moments acclimatising, we headed off exploring round the rocks and through the kelp. There were sea stars, urchins and nudibranchs everywhere. I have seldom seen so many nudibranchs in such a small area! It was a fabulous dive, but not a very long one, as we were both getting pretty chilled by the 45 minute mark and struggled to undo our gear with numbed fingers to pass it up onto the boat. The staff soon had us back on board and a hot drink in everyone’s hands. 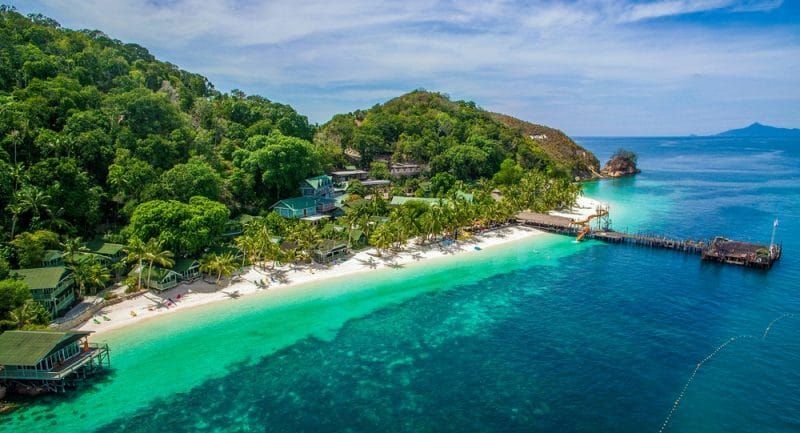 After a fairly short surface interval (the dives were both shallow and the breeze does nothing to warm you up) we headed to our second site of the day, Islas Bridges. Thick kelp patches and huge king crabs were the star attractions. Plenty of smaller crab species, nudibranchs and other mollusks call the kelp home and we were amazed by the numbers of huge sea urchins. Our visit in November was in a shoulder season so the weather and sea conditions were not the best. Nonetheless we enjoyed our taste of southern hemisphere diving and could tell that the area had great potential. At other times of the year you can dive with fur seals, see whales, penguins and orcas from the boat, or even get a lucky glimpse of a cormorant hunting small fish underwater. It was a short but very worthwhile trip for us and though Mike had to stop me trying to stowaway on an Antarctica trip, we can happily say we travelled as far as we could to explore the underwater world at the “End of the World”. If you are planning a trip along the Andes, the flight to Ushuaia is an affordable and really unique experience that we highly recommend. It is also possible to drive there, but it is a long drive on small roads and so a great deal more time and planning would be required. For more from CJ and Mike please visit their website here.